In the last updates of the Global Poker Index (GPI), which groups the worldwide 300 best players of poker, great changes were noticed with the World Series Poker, still in progress with its 62nd and last event of this edition 2013. 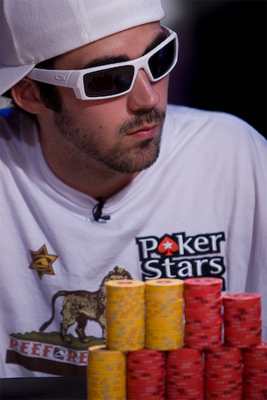 Invincible since already a few weeks, Jason Mercier keeps his place of leader, just before Philipp Gruissem. A difference of less than 100 points separates the two players: Jason Mercier (3,263.36) and Philipp Gruissem (3,194.42). Marvin Rettenmaier and Daniel Negreanu declined in the 5th and 6th place of the ranking, by leaving the 3rd and 4th place to Joseph Cheong and Michael Watson. Just after, we find Stephen O'Dwyer (7th) and Andrew Lichtenberger (8th) who maintained their places of last week. Ole Schemion wins two places and ranks in the 9th position, while the French Bertrand « ElkY » Grospellier ends the Top 10, after that he gained two places. Igor Kurganov rises in the 11th place of the GPI, after a 16th during the last week. David Benyamine signs the best progress of this week in this poker ranking, because he managed to enter the Top 50, after a 94th place last week. The French made a jump of 56 places and raises in the 38th position of the Global Poker Index of this week. After two paid places at the H.O.R.S.E. poker tournament (Event #29), at the No Limit Hold'em - 6 Handed (Event #52) and a final table of the Poker Players Championship, David Benyamine who continues to play poker well, was among the 2,306 players who took the departure of the Day 2C of the Main Event.